What they say: The formerly glorious god Apollo, cast down to earth in punishment by Zeus, is now an awkward mortal teenager named Lester Papadopoulos. 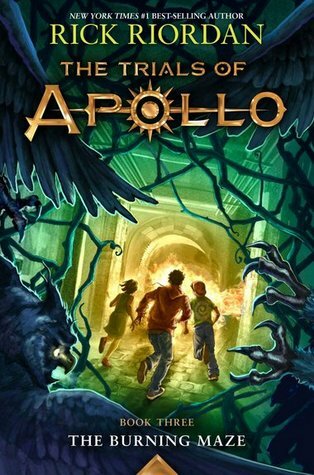 In order to regain his place on Mount Olympus, Lester must restore five Oracles that have gone dark. But he has to achieve this impossible task without having any godly powers and while being duty-bound to a confounding young daughter of Demeter named Meg. Thanks a lot, Dad.